Many thanks to Monique for her knowledge and diligence in my search for a new home. Her open and flexible approach was a relief in the stressful time of making a move. I could not believe how well she knew both the Port Credit and Mineola areas as well as the players and movement of properties, both rental and for sale. If you are considering an agent in Port Credit and Mineola areas look no further - Monique is your best choice! I really appreciated the time, attention, patience and genuine care she took to make sure my daughter understood all the aspects of purchasing a property. As a first time buyer it can be intimidating, and in this market with bidding wars, even more so. Monique coached us well and made it a memorable process to get her dream property! If you are looking for a knowledgeable agent, who has that great personal touch, and is fun to work with, Monique is the agent you can turn to. Thank you Monique!! Monique, you have been such a pleasure to work with, It's like pressing that "EASY" button at Staples! YOU truly do make buying and selling a home EASY! It's like pressing that "EASY" button at Staples! We first met Monique a few years ago when we were just very casually browsing in the Port Credit area. She was hosting an Open House and although it became apparent quite quickly this particular home was not for us, we did find a gem in Monique. She was friendly, upbeat about the area and very informative about both the house and the neighbourhood. When she reached out after meeting us, her vibe was always friendly and very very helpful and forthcoming with any information we asked of her. There was NEVER any pressure to “sign up”, just low key and supportive of our buyer-driven search initially for the right home. As we became more serious in our search, she stepped up as well, informing us of upcoming sales, market info and past sales. Together as a team, we scored our dream home! Our home sale went equally smoothly, beginning with intelligent pricing, clearing out our home of 30 years, clever staging and then strategic timing of both listing date and open houses. We experienced a record number of showings in a slow market period which resulted in multiple offers within a few days of listing. Monique was instrumental in this successful sale and was a supportive and calming influence during this somewhat stressful time. 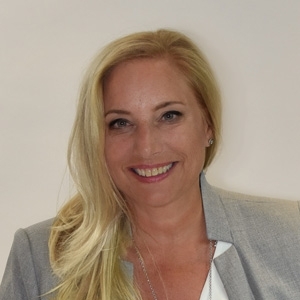 Monique cares about her clients and will go above and beyond what one might expect of a real estate agent to ensure her clients are looked after and always has their best interests in mind as she conducts her business. You will be in very good hands with Monique with either your sale or purchase, or both as in our case. "Monique helped me find my very first home... I did not have much knowledge going into the process, but she was patient with me and explained details every step of the way. She was committed to my success and I could not have asked for a better person representing me!" "Monique exemplifies the qualities of someone who takes passion in what she does. She was dedicated to helping me find the perfect home and took the time to ensure my happiness was her top priority. I had full confidence in her ability to represent me throughout the process and will recommend her going forward." "I cannot thank Monique enough for her dedication to the process of purchasing my first home. She kept focused on my priorities to ensure I bought a placed I loved. Her knowledge on the market along with her personal experience allowed me to feel confident in her abilities to represent me as her client." I found Monique to be a joy to work with. She was very professional, quick to return messages and excellent in negotiating the best selling price for my home. I was referred to Monique by several friends who all had exceptional experience with her. She is extremely professional, warm and attentive to my needs. She is friendly and talkative and really gets to know her clients. She was prompt to responding to emails and phone calls and I never felt rushed through the process. She knew exactly the location where I wanted to live and gave me more information about the area. She helped us find the perfect apartment very quickly and was available for support and answers afterwards. I would strongly recommend Monique and her services to anyone! Where do I start... Receiving advertisements from local Realtors is a daily thing in my area... You look and toss them out but not Monique’s... Looking at the smile on her face & reading what she had to say, I hung on to it for over 1 year. I made the perfect choice. Monique is a true Professional in every respect. From the moment I met her I knew, she would sell my house in record time. She tunes in to her Sellers feelings and knows when to show the house to prospective Buyers . That is important to people such as myself who are Seniors in their 80's. She consistently follows up no matter how much of her time it takes & she keeps you up to date on how the sale is going... No guess work. She advises in every area necessary and her knowledge in Real Estate and every aspect of a large move such as mine are tremendous. She sold the house in less than 2 weeks on an Exclusive listing. Her customers are not just clients, they become her friends like me. Monique is a beautiful lady inside and out... Her smile made my day and still does. I highly recommend Monique to sell or buy property for you. She will please you as she did customers of hers I met including myself. By the way, if you enjoy a good laugh, she is great in that & she will be there for you. Monique is a true Port Credit personality and a wonderful mom and wife as well. Thank you Monique. Helen T. from Port Credit. We would highly recommend Monique to anyone looking for an exceptional Real Estate Agent as she provides excellent customer service, returns emails and phone calls promptly & follows up quickly with information, we never had to wonder or worry about anything! She goes way above and beyond the standard procedure of a purchase and sale and follows the whole process completely through. Her knowledge of the market, professionalism & negotiation skills truely are amazing!! 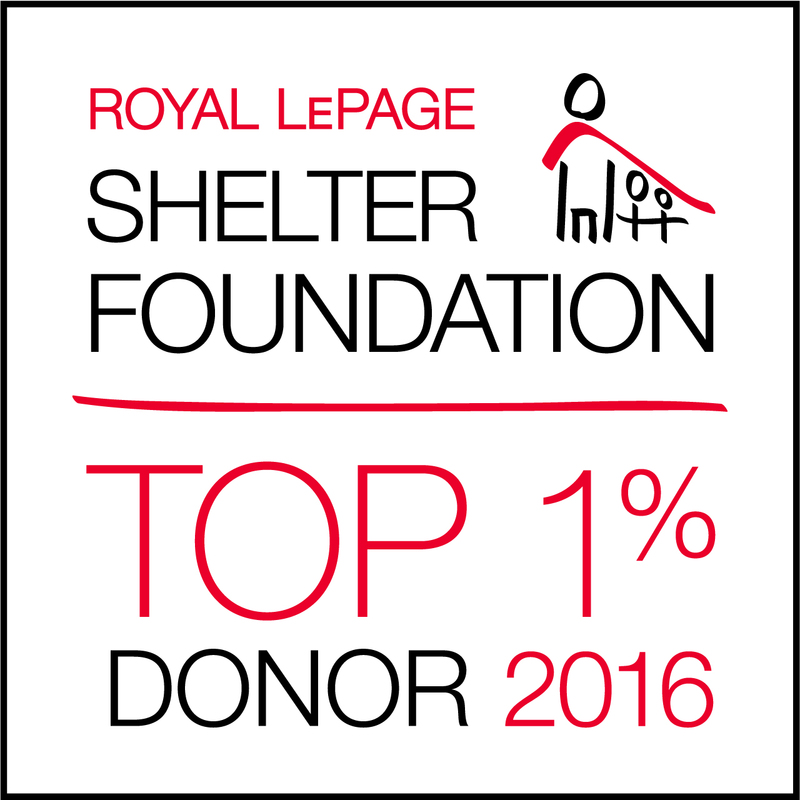 I'm writing to thank and congratulate you for being in the TOP 1% of Royal LePage Shelter Foundation donors during 2016! Your generous contributions helped us to raise $2.1 million in support of women's shelters and domestic violence prevention programs across Canada, including those focused on helping teenage boys and girls develop healthy relationships which will hopefully reduce the incidence of domestic violence in future. Thank you again for providing safety, hope and new beginnings for women and children in your community who have experienced violence and abuse. We were very fortunate to work with Monique, who was referred to us through friends. She really has her pulse on the market, specifically for Port Credit, which was instrumental in our search. She is also very patient and honest , two great qualities that are so hard to come by! We were a special case as we live out of the country, however, Monique was nothing but accommodating. I truly feel that we would not have had as good of an outcome with any other agent. Highly recommend!! !